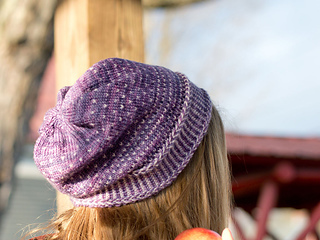 Winnimere features classic color work techniques this hat playfully mingles dark and light colors in a stranded dance. 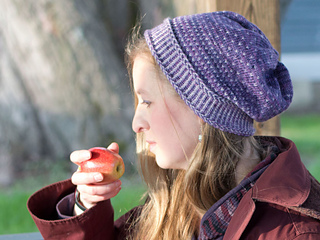 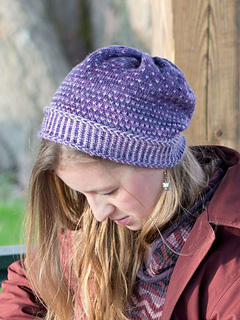 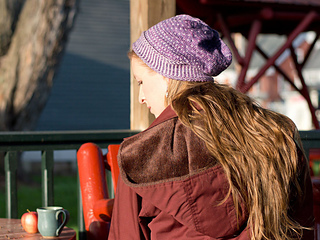 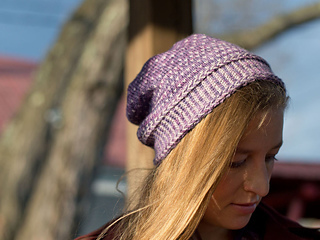 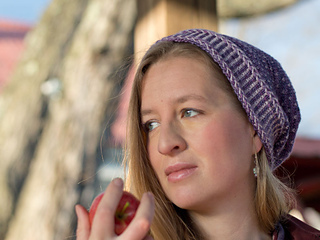 Winnimere is a warm and loose fitted hat showing off stranded stitch patterns. 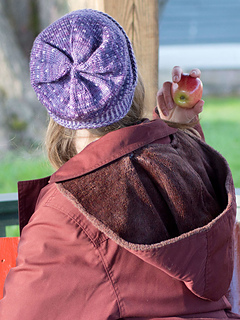 It features a Latvian braid and corrugated ribbing brim followed by a simple, flecked colorwork pattern which fades to dark before the decreases form the gathered, slouchy crown. 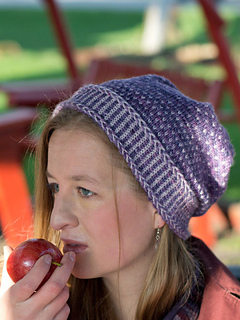 I want to thank Chris Church (rchrispy on Ravelry) for providing the technical editing.